PREMIER PROPERTY BUYERS Need To Sell Your House Fast? We Buy Houses! Need To Sell Your House In Southern California? Consider Your CA Home Sold! Avoid The Hassles Of Realtors, Repairs And Months Of Uncertainty. No Agent Fees, Closing Costs or Waiting! Sell your house the hassle free way! Contact the area's most trusted home buying experts to sell your house. We buy houses in ANY condition or situation. There is no obligation or cost. What do you have to lose? Pay No Commissions, No Fees. Make No Repairs. Learn How Our House Buying Process Works! We Buy Houses In Southern California in cash and on your terms. No matter what the condition your property is in, we will make you a fair offer and get the process moving fast. We buy houses directly from homeowners who want to sell without the hassles of listing the property with an agent, or pay agent fees. No middlemen. No fees or commissions. No waiting. Amazing experience! Eric was great to work with – honest, genuine, a great communicator who took a personal interest in our situation from the beginning to the end. Can’t thank you enough, Eric!!! How Do I Sell My House Fast To You? You want an offer. You want to see how much you could get for your house by selling it for cash. Well, the process is quite simple really. In order for us to start the offer we need to know the address so we can do a Market Analysis, otherwise called a CMA (Comparative Market Analysis). After that is done, we will schedule an appointment with you where we will meet and answer all your questions. We will do a walk through and finalize the offer and present it to you. You are done! So what are you waiting for? Need To Sell Your Southern California Home? We buy houses in Southern California using our own funds. This means no loans, no financing, no approvals, no uncertainties. 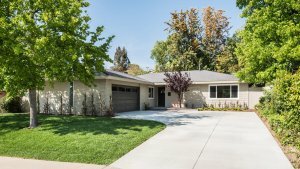 We make it very easy to “sell my house fast” in CA. We have purchased houses all over Southern California in cash from homeowners just like you. We have bought houses in Anaheim CA and we have purchased properties in Long Beach CA, just to name a few. It doesn’t matter where in CA you have a house for sale. Whether you want a cash offer for your house in Huntington Beach CA, or you want cash for your house in Mission Viejo CA, we will buy it! By simply filling in the form we will start the offer process immediately. Remember, this entire process is free to you. You have nothing to lose! No Matter Your Situation We Are Buying! Stop worrying. We have helped many people in similar situations. We know what we are doing. We know how to solve these problems. Smooth, honest, fast home selling experience. I highly recommend working with Eric at Premier Property Buyers! We Are Ready To Buy More Southern California Houses. Financing won’t slow us down from buying your house in SoCal. We will give you a fair written offer to buy your house in the next 24 hours. Then as early as next week, you can leave closing with cash in hand. That will be cause for celebrating. How To Sell My House Fast In Southern California. We buy homes all around Southern California. Contact us for a fair offer today.Maybe the traditional real estate agent process is just too long for you. If you don’t have months to wait for your house to sell, then we can definitely help. Fair Offer. No Commissions. No Hassles. No Waiting. Another difference is that we’ll buy your house if you live in it or you have tenants or it’s vacant. That’s flexibility that you won’t find with an agent. No matter what situation you find your self in…you can sell my house fast. Has life started to become more difficult? Have you run into some stressful life events? Behind in mortgage payments? Facing foreclosure? Inherited a house and want cash instead? Don’t have the time, energy, or money to fix your property? We can help by giving you a fair written offer to buy your Southern California property. Our crews can do all the cleaning and repairs and painting that it may need. You get cash at closing and will no longer be tied down with that property. You really can sell my house fast. Call us at (949) 356-6763 and we’ll explain how we can help you and your specific situation. Premier Property Buyers provides home owners a hassle-free home selling solution on their terms. No realtors, no repairs and no waiting! We help you “sell my house fast”! We buy houses fast for cash – any situation. If you need to sell, we’re ready to buy!